Educators in their many roles, often face challenges from many directions. It is easy to become overwhelmed and discouraged when the workplace seems to present multiple problems, challenges and concerns. The Literacy Coach, or any support role for that matter, is important for helping teachers to find solutions to these problems. In an ideal world, the Literacy Coach would enter a classroom and see that the teacher has excellent managements skills (of both behaviour and organisation), perfectly aligned curriculum, ample resources and students with adequate background skills. We all know that no classroom is perfect. We all know that supporting (or even extending) literacy skills in the classroom is sometimes hindered by more pressing teacher concerns such as; student behaviour, resource development, technical difficulties, learning styles and there are many more. Therefore, it is important for coaches to realise that while our focus is Literacy (or technology or numeracy or differentiation) that we may need to assist teachers in other areas of the craft first. Sometimes we don’t need to help with our focus area, we simply need to help the teacher make room for it. It is easy to become discouraged as an educator. It is easy to become discouraged as a coach (especially when we are often the only one in the school who really understands what we do and the type of challenges we face). No matter who we are and what challenges us it is important to have something that brings us joy. We must remember why we are teachers/ coaches. We must remember that we are not perfect. We must remember that many have come before us and we must seek wisdom from these people. I want to share with you some of the ‘quotes’ that help me to see past the challenges and remember what I need to do to solve the problems instead of drowning in them. If teaching a new process or list of facts, summarising a topic or giving directions, follow the rule of 7. Use no more than 7 steps, facts, points or items. What does this mean for you in the classroom? Firstly, that summary that was more than 5 points, which you then expanded to 10 points… go and see if you can fit it into 7. Students are far more likely to remember the list if it is between 3 and 7 points. Any more than 7 and the kids will feel overloaded and confused. 7 is plenty. Secondly, the process you want the kids to follow, should be 7 steps or less. Consider the main steps when breaking it down. If the process has more than 7 steps… maybe it should be 2 processes, each with less steps. Shrunken Definitions are important for students to learn contextual words. We need to assist students to come up with their own definitions for vocabulary words. When providing them with definitions we need to follow the rule of 7. Wilfong (2012) suggests that when providing students with a definition for new vocabulary it should be 3-5 words in length. When asking students to write their own definition Wilfong (2012) suggests giving the students the same parameters (i.e. no more than 5 words). Building Background is providing students with a truncated (shrunken) definition and a simple visual cue prior to reading. When they encounter the word, they know what it is and have a basic idea of what it means in the relevant context. This saves time and effort during reading. When students read a passage with unfamiliar vocabulary, they might turn to a dictionary or other reference to try and gain understanding and make meaning of the text. However, the reference material can present its own set of complications with meaning and before you know it, an eager mind has become a frustrated one. So, providing a simple definition for easy reference can both prevent and solve a great deal of anguish during and after reading. 1. Draw the table above. Choose a lesson/ class that you are planning to teach soon. What is the text that your students will be using or accessing? What are the words that your students will need to know in order to understand the text? List them under “Vocabulary Word”. 2. Hopefully some of these words are already familiar to your students. Most teachers do this step automatically, but just in case. Review the list and cross out all the words that your students would already be familiar with (either because the class has studied them with you before or you know they have learned it in another class). 3. Using Wilfong’s guidelines for Building Background, complete the second column by writing a truncated definition (3-5 words) for each word on your list. 4. Remember the other part of Building Background is including a visual cue or symbol to assist students with understanding and remembering the word. In the final column, sketch a symbol or visual that you will use. I asked my Literacy Team to complete the activity above during our monthly meeting this week. They rather enjoyed it. One of the members commented that successful shrinking of a definition to so few words requires serious thought into word choice. When you only have 3 words, which three words best encompass the meaning you want your students to learn? Remember to keep it simple. Consider the context in which you want your students to access the word. Stick to the correct meaning for the correct context and choose your words carefully. Wilfong, L. G. (2012). 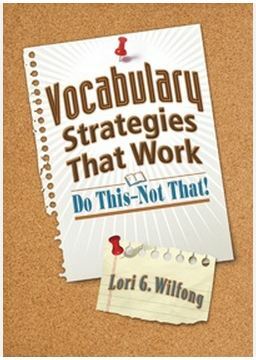 Vocabulary Strategies that Work: Do this-Not that! Eye on Education, USA. Many people associate poor literacy skills with poor upbringing, poor backgrounds and sometimes even poor choices. The issue of illiteracy is far too complex to be ‘blamed’ on any one thing. However, many studies show that the socio-economic status of a child will impact on her ability and even motivation when learning to read. Last year, I participated in a Professional Development Course called Understanding Poverty. Much of the research and theory for the course comes from the US but it isn’t difficult to find parallels in Australia. 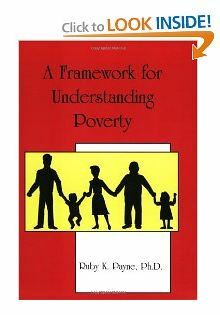 The related textbook, A Framework for Understanding Poverty was written by Ruby K. Payne and defines poverty as “the extent to which an individual goes without internal or external resources”. The ‘resources’ are grouped into seven categories including financial, mental, emotional, relationships and access to support systems. During the workshop portion of the course many of my colleagues expressed shock at how harsh poverty can be, especially on a child. Payne, also distinguishes between types of poverty and explains why a child born into Generational Poverty must break the cycle to succeed. This is much easier said than done. Payne defines generational poverty as families who have lived in poverty for at least two generations, meaning children of parents in poverty grow up to live in poverty themselves. By contrast, families in situational poverty have fallen into poverty because of a traumatic event such as illness or divorce. A colleague shared this video with me after we had completed the course. Four Corners (a current affairs program on Australia’s ABC) takes viewers into a public housing estate in western Sydney. They interview children, teenagers and families in their homes. They focus on the impact of poverty on the children. Regardless of your current occupation (teacher, educator, doctor, office worker, parent) this video is worth 45 minutes of your time. Consider the children in this video. Consider the parents. Is it any wonder they can’t read? The end of week one and I’m ready for our first mid-semester break. Not really, but I’m tired. While it would be nice to think that I am the only literacy coach who blogs about classroom experiences, I know it isn’t true. I guess I will just have to settle for being the “best” literacy coach who blogs. LOL. I am really excited about the followers and “likes” I have been notified of this week. I have been living in the blogosphere for a few years now (although this blog is quite ‘young’). I know that many blogs can have little or even no followers so I’m quite chuffed. Anyway, if you like my posts you will probably appreciate this blog as well. Middle School Teacher to Literacy Coach : is an interesting blog about the regular happenings in this Literacy Coach’s classroom. Click above to see the latest post about the importance of “genre knowledge” during guided reading. Many teachers say that they don’t have time to teach reading/ writing/ literacy explicitly in their classes. They are “too busy” with curriculum content and behaviour management. Teaching is a challenging profession and now more than ever, we are expected to be all things to all students. 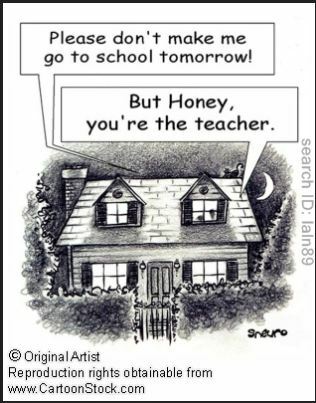 Managing classroom behaviour and organisation; teaching curriculum, social skills, literacy, numeracy, internet safety; integrating technology; dealing with emotional/ family issues and student concerns; participating in extra-curricula activities; attending extra meetings and mandated professional development makes being a teacher an overwhelming and busy job. If you aren’t prepared to teach what the kids in your class need, you probably shouldn’t be in the classroom. That may be harsh, but it is true. You, as a teacher, may not be able to integrate “guided reading” into your classroom schedule but you can involve your students in discussion about text and support them to access texts relevant to your content area. Click the link above to see how.